The unremitting explosion of reality television across the schedules has become a sustainable global phenomenon generating considerable popular and political fervour. The zeal with which television executives seize on the easily replicated formats is matched equally by the eagerness of audiences to offer themselves up as television participants for others to watch and criticise. But how do we react to so many people breaking down, fronting up, tearing apart, dominating, empathising, humiliating, and seemingly laying bare their raw emotion for our entertainment? Do we feel sad when others are sad? Or are we relieved by the knowledge that our circumstances might be better? As reality television extends into the experiences of the everyday, it makes dramatic and often shocking the mundane aspects of our intimate relations, inviting us as viewers into a volatile arena of mediated morality. 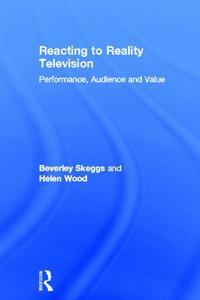 This book addresses the impact of this endless opening out of intimacy as an entertainment trend that erodes the traditional boundaries between spectator and performer demanding new tools for capturing television’s relationships with audiences. 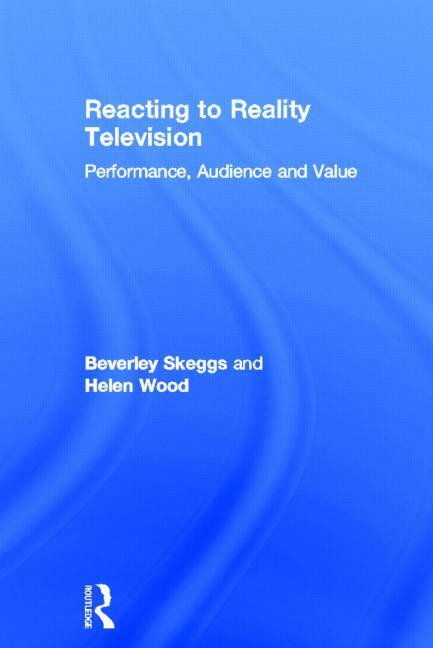 Rather than asking how the reality television genre is interpreted as ‘text’ or representation the authors investigate the politics of viewer encounters as interventions, evocations, and more generally mediated social relations. The authors show how different reactions can involve viewers in tournaments of value, as women viewers empathise and struggle to validate their own lives. The authors use these detailed responses to challenge theories of the self, governmentality and ideology. A must read for both students and researchers in audience studies, television studies and media and communication studies.